Our favorite part of Halloween is by far the food. What else could you expect from the Camp Chef team? But when it comes to adorable whipped cream ghosts or carefully designed chocolate spiderweb, we like to turn to a few of our friends in the food community. 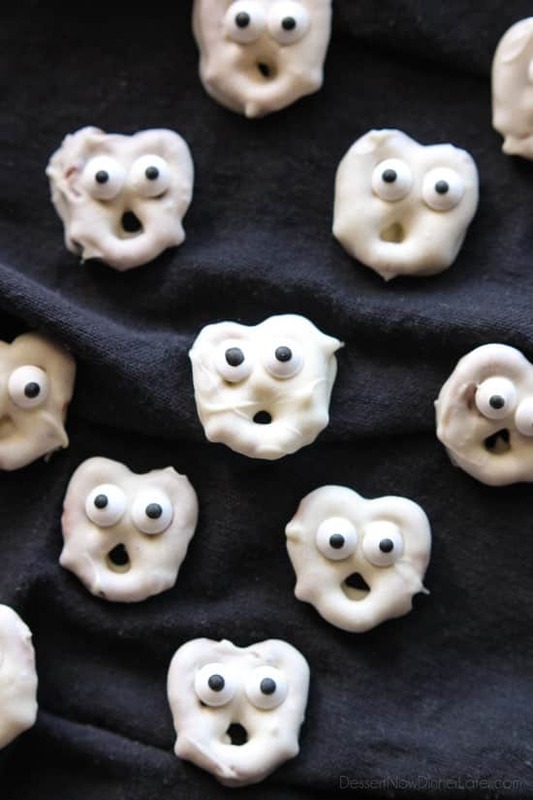 Here we’ve created a roundup for you of the creepiest, cutest, and most importantly, tastiest Halloween bites we could find. Try these recipes on your pellet grill, in your outdoor oven, or with your cast iron dishes. Camp Chef is ready for your Halloween menu. 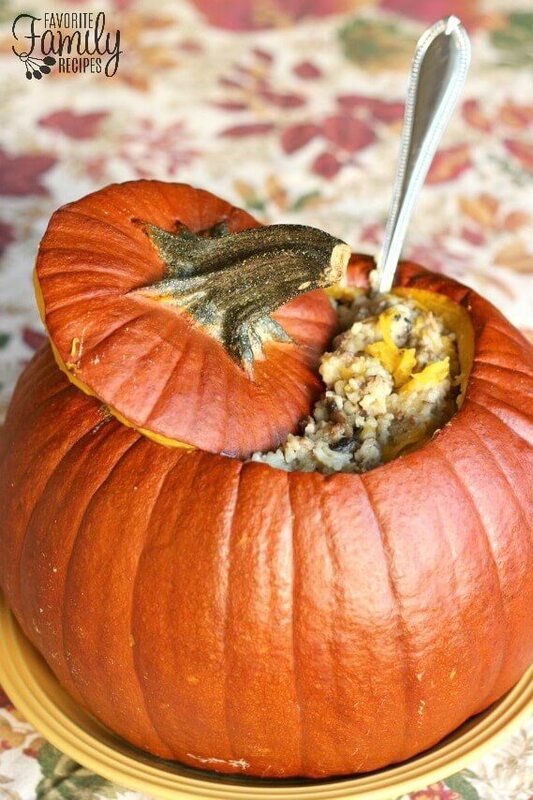 This is a fun way to bring pumpkin into your meal in a savory way. If you want to take the meal outside, you can just as easily roast the pumpkin inside your pellet grill set at 350° F.
You can’t go wrong with cheese and sauce on a pizza crust. 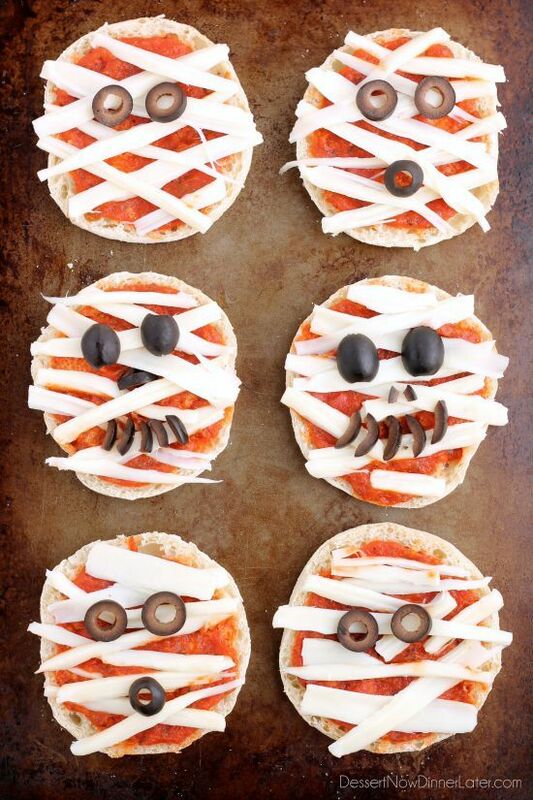 Have a make-your-own-mummy night with all the ingredients and bake them in your outdoor pizza oven. Another perfect recipe for your outdoor oven. 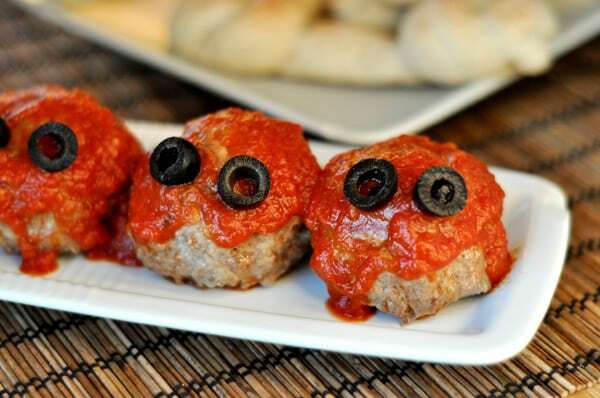 It’s a spooky combination of meatball eyes and bone breadsticks that your kids will love. Half the fun of this recipe is figuring out which face to carve into your jack-o-lantern bell pepper. Boo! 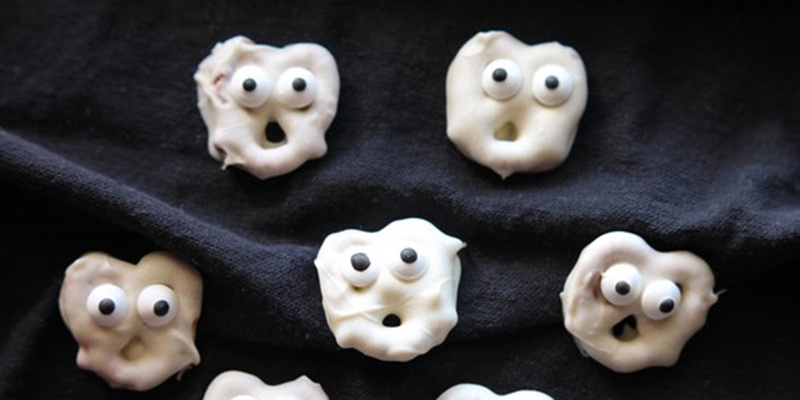 Try these spooky chocolate pretzels at your Halloween party this year. They’re equal parts funny and adorable. The picture speaks for itself. Light, fluffy, and oh so delicious. Impress your kids with your cake decorating skills with this cheesecake. We swear it tastes better with the webbing design. 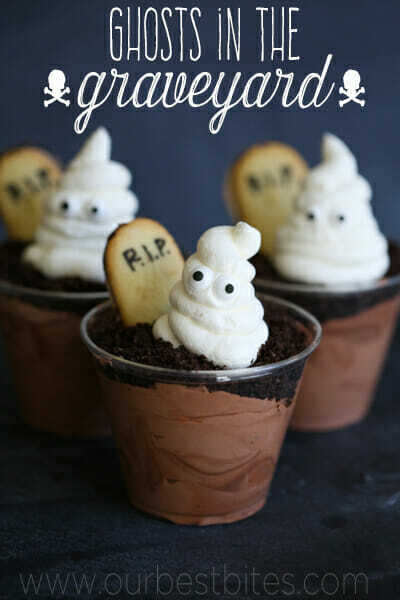 This recipes is a Halloween twist on a “cup of dirt” dessert. Pudding and cookies make up the base, while the fluffy ghoul is a swirl of whipped cream. Not only is this root beer delicious, it also only takes 15 minutes to make. 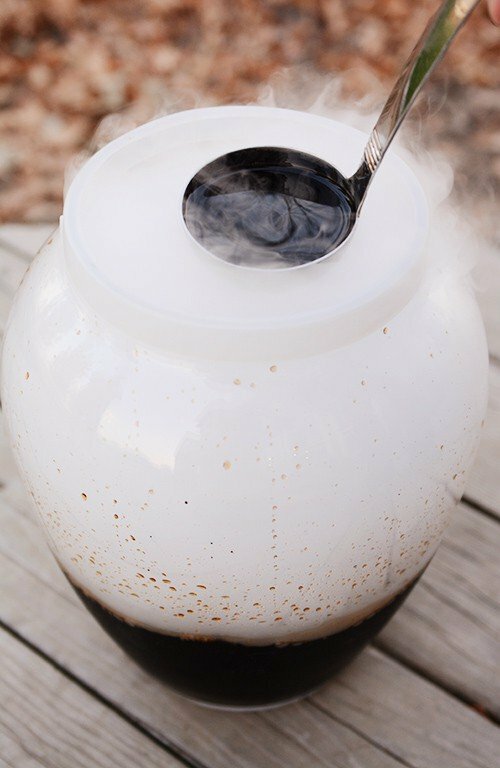 Add some dry ice for a spooky touch. 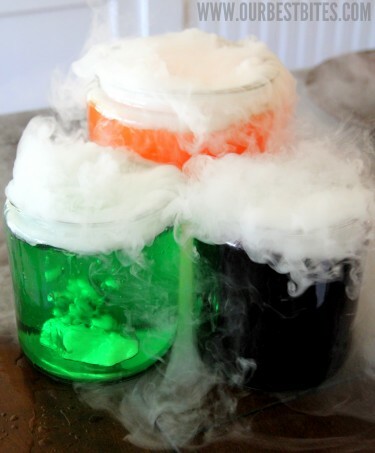 Dry ice also brings these drinks to life. Really, you can use whatever you like as the beverage (although this recipe calls for Kool-Aid). Just choose some crazy colors and add the dry ice. 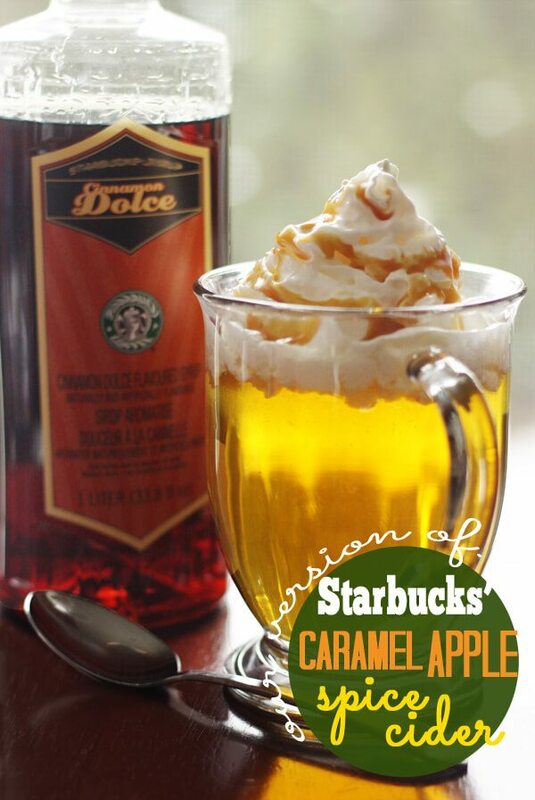 This Starbucks copycat recipe is a fall staple. Except now you don’t have to go through the drive-thru anytime you want it. 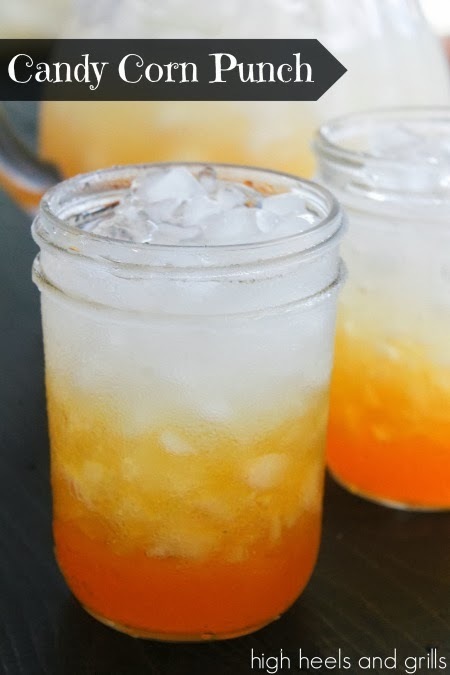 If you’re not a big fan of candy corn itself, try this punch instead. The ingredients layer to create the candy corn stripes, but the beverage itself tastes fresh and citrusy. 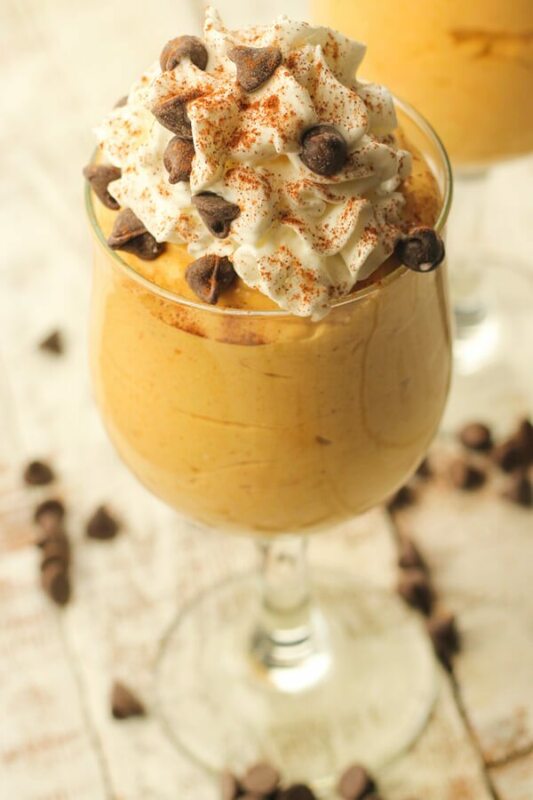 Do you have any other Halloween recipes you love to use? Have you tried one of these before? Let us know in the comments!